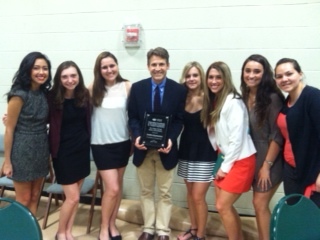 Creative Expressions was honored at the Ohio University College of Health Sciences and Professions award ceremony in May 2015 by receiving the Dean’s Recognition Award for Outstanding Contribution to the Greater Community by a Student Organization in the College of Health Sciences and Professions award. Below is an image of the Creative Expressions Executive Board and myself receiving the award. The Soundbeam is a device that translates movement into music. It uses an ultrasonic beam to pick up motion within the field or range of the beam. The motion is then carried back through the device as a product of reflection, and then using MIDI technology, instructions for music are written that coincide with the movements that were made. A computer and/or music synthesizer then produces the music output according to the movements originally detected by the ultrasonic beam of the Soundbeam. Vibroacoustic therapy is a novel therapy being researched for its efficacy with varying populations including individuals with severe disabilities. The Soundbox can be used as part of a sensory room, or on its own. In addition to enabling people with hearing impairments to feel sound, it has a range of sensory uses that can be either relaxing or stimulating, depending upon the sounds/music used and the personalities of those experiencing the vibration. Currently we are exploring possible therapeutic applications as well as uses for the equipment to help individuals with disabilities express themselves in a creative way. Beamz is another musical product that Creative Expressions has incorporated into their organization. 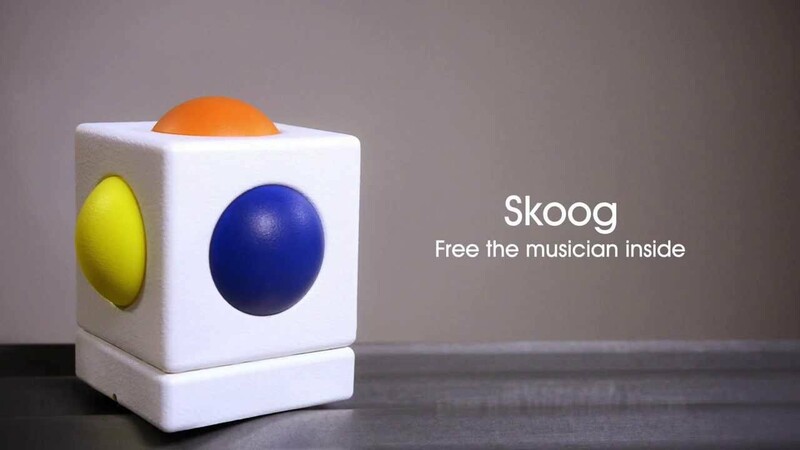 It is another movement-based technology that allows those with limited mobility to make music!